What are the ways to get around New Zealand? One of the most important decisions you will make for a trip to New Zealand is how you are going to get around. Transport is a crucial part of the enjoyment of your trip! While some transport methods for travelling on a budget are great for your budget, others provide an awesome experience to meet other travellers or travel independently. So you know all your options, we have put this list together of the best ways to travel around New Zealand. While not one transport method to get around New Zealand is better than the other, it really depends on what sort of travel experience you are looking for. We have tried to outline the highlights of each transport method, as well as challenges in this list. However, for a more in-depth look at each transport method, take a look at our pro and cons list in What is the Best Way to Get Around New Zealand? Doing a long backpacking trip in New Zealand for more than a couple of months? Or in New Zealand for a working holiday? Then buying your own car gives you the ultimate freedom to travel New Zealand independently. It’s a convenient transport method for getting around. By selling your car at the end of your trip, buying your own car can be extremely cost-effective. However, there’s the hassle of buying/selling a car and the risk of breaking down which can be expensive. Sounds like the way you want to get around New Zealand? Start planning at Travel By Car in New Zealand: The Ultimate Guide. For shorter trips in New Zealand, renting a car is the way to go for that freedom and independent travel. While there are many car rental companies in New Zealand, picking a company can be a comparison mission. To make things easy, take a look at our Guide to Renting a Car/Campervan in New Zealand so you know what costs to expect and how to compare rentals. 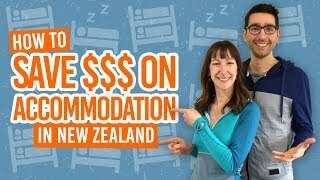 Again, if you have plenty of time to spend in New Zealand and you want to always have a place to stay, then consider buying yourself a campervan. Of course, there’s more maintenance required than a car as you will need to look after your amenities. Plus, it’s more money to pay up-front when you buy the campervan. However, by freedom camping (for certified self-contained vans only) and using cheap campsite, you may save a significant amount of money on accommodation over time. For more on what it’s like to travel by camper in New Zealand, see Travel by Campervan in New Zealand: The Ultimate Guide. For the ultimate outdoors experience and perhaps saving a little bit of cash on accommodation while travelling New Zealand, why not rent a campervan? Campervan rentals come in a huge variety of sizes and facilities, as well as price ranges. If you want to freedom camp while in New Zealand, i.e. camp anywhere for free, then you need a vehicle which is certified self-contained. Find out more in What it’s Really Like to Freedom Camp in New Zealand. For more on the campervan experience, check out The Essential Guide to Renting a Campervan in New Zealand. The only fully national coach service in New Zealand is InterCity. They offer cheap bus tickets from A to B to most towns and cities in New Zealand making the bus network the most extensive public transport method in New Zealand. Plus, there are the options to get bus passes to save a bit of cash if you use the bus network a lot. Compare the bus passes at What’s the Difference Between InterCity Backpacker Bus Passes? Find out more at Bus Networks in New Zealand. Following set routes around the country, Bus tours are a stress-free way of seeing New Zealand in a limited amount of time. Bus tours are usually all-inclusive with accommodation and most meals included, while activities may be included as well. They are a good way to travel with like-minded people while your itinerary it pretty much sorted for you as you travel around New Zealand. However, this does mean that bus tours tend to be a lot more expensive than other methods of travel. An example of bus tours for backpackers can be found at Sweet As Travel bus tour. Plus, check out The Best Backpacker Bus Tours in New Zealand for a New Zealand bus tour comparison. Like a bus tour, hop-on hop-off buses follow a set route but allow passengers to hop off at most locations along the route for as long as they want and catch another bus at a later date. It is a more flexible version of a bus tour, with accommodation and activities suggested but not compulsory. Plus, you are in charge of your own food. To learn more about this transport method for getting around New Zealand, check out What is a Hop-On Hop-Off Bus? And you might find this helpful too – What is the Difference Between Hop-on Hop-off and National Coach. The train network is pretty small with limited departures in New Zealand, making it an unpopular way to travel around New Zealand as a transport method. However, the train journeys in New Zealand are seen more like a scenic experience and may be a fun way to get between the liked of Christchurch and Greymouth in the South Island or Auckland and Wellington in the North Island. However, for the rest of your travels, it’s likely you’ll need to pair train travel with another transport method in this list. For more information, head on over to Train Network in New Zealand. With around 25 domestic airports connected by flights in New Zealand, plane travel is certainly an option to get around New Zealand. Planes are usually a quick and cost-effective way to travel long distances (usually between the North Island and South Island). On the other hand, they work out more expensive when travelling less than a 4-hour drive, so we would recommend only travelling by plane for long distances accompanied by other forms of transport to get around New Zealand. Learn more about flights in New Zealand in Domestic Flights in New Zealand. Hitch-hiking is completely legal in New Zealand and pretty common practice. Of course, there’s always an element of risk when hitch-hiking as you don’t know who you are getting the vehicle with. 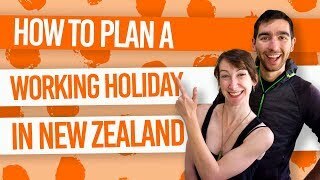 Nevertheless, if you are cautious and follow the tips in Hitchhiking in New Zealand you’ll have an awesome time meeting new people and getting around the country for free. Hitch-hiking, however, can be time-consuming as you don’t know when you will be able to get the next lift. The Te Araroa Trail is a 3,000km journey from the very top of the North Island at Cape Reinga following the centre of New Zealand all the way down to Bluff in the bottom of the South Island. For the adventurous and fit type, this certainly could be a way to travel New Zealand over the 120 days it usually takes to complete the trail. All you will need is to take the ferry between the North Island and South Island. We know hiking for 120 days is not for everyone, so check out our hiking category for much shorter hikes.